Whether you use it as a man cave or workshop, or just hate getting into an icy car in the winter, a winter-proof and heated garage is a great idea. And by adding a buffer between you and the outdoors, you might also be able to keep your house a little warmer, too. Insulating your door, upgrading your door, sealing the gaps, and heating things up can help you get it done. 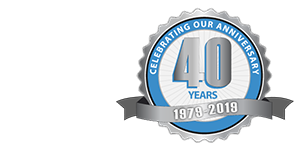 A standard garage door is built to keep thieves out, not warmth in. So in order to make your garage a more comfortable space, you need to start by insulating the garage door. Fortunately, this is a pretty easy and affordable task. Garage door insulation kits — which you can pick up at any hardware store — come in two varieties: solid polystyrene sheets and soft spun fiberglass. In either case, all you’ll need to install is a utility knife to cut the insulation down to size. The polystyrene sheets pop into place between panels on your garage door, while the soft insulation kits are held in place by plastic clips, which you attach to the door. In addition to insulating the door itself, you’ll also want to insulate around the door in order to keep out any drafts. Many garage doors already come with weather stripping installed, but check yours to make sure it isn’t cracked or showing signs of age. If you don’t already have weather stripping, or need to replace what you currently have installed, get a bottom seal — a strip of pliable rubber, vinyl or foam — that will keep drafts from gusting in beneath the door. You’ll also want to tackle the gaps around the side of the doors with another layer of weather stripping. 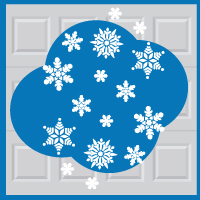 If you’re already in the market for a new garage door, or just want the best insulation possible, you might consider purchasing a weatherproof door. With insulation built right into the panels, these doors also feature better seals between the joints, keeping winter winds from creeping in between the cracks. While a prefabricated insulated door might set you back a pretty penny, there’s no substitute for someone looking to keep their garage toasty warm all winter long. The door isn’t the only problem area in a garage. Cold air will seep in through any cracks and crevices that it can, and most garages feature plenty of these. The areas around pipes are often left uninsulated, as are electrical sockets, windows, vents and other openings. Seal these areas up tight with caulking or expanding foam insulation to keep the warmth in. Sure, you can stick a standard space heater in your garage to keep you warm, but these small heaters are not the most efficient way to heat a large space. Radiant heaters really only warm the area immediately around them, which is nice if you plan to keep it next to your desk or easy chair, but not well suited to a space where you’ll be moving around a lot. If you want to get things hot in a hurry in your man cave or workshop, get a forced air heater — either a propane or electric variety — which use a fan to push warm air throughout the garage. Tackling the task of insulating the walls is too large a job for a novice, so if you seriously want to insulate the garage, your best bet is to hire a garage contractor. If you do plan to hire someone to take on the task, make sure they aren’t just slapping up some fiberglass insulation in between the studs and adding a layer of drywall. Heated garages are prone to condensation build up, which can cause you problems with rot and mildew down the road. So make sure they have a plan to properly ventilate the garage, allowing a means for moisture to escape, while still keeping you warm.